Heat saucepan, spray with olive oil (or use water), add the onion and carrots and cook until soft. 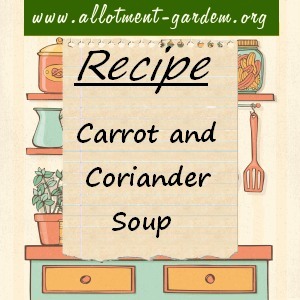 Blend the soup, season to taste and add the coriander. This makes four very large servings with a point’s value of half a point each (weightwatchers). I’m always making this and very lovely and healthy….